Installing Zemanta on Blogger - A New Way to create Blog Posts! Creating quality content is a major concern for bloggers. It is one thing to establish a good-looking and well-optimized website which is SEO friendly, and quite another to update it with fresh, regular content which is of high quality. No matter how well a site is optimized for search engines, content still remains the king, and Google regards content more highly, since it is oriented towards the users more. Creating quality content, and adding value to it isn't an easy job. But don't worry! People who use Google Blogger now have access to an amazing tool, Zemanta, which will help them create quality content, and spice it up with images, links, and more! What makes a great blog post? When people ask me how they can create 'quality blog posts', I usually tell them to first overview their own posts from an outsider's perspective. Forget the person who wrote the post, and become the person who'd love to find anything wrong with the post so that he could fire the guy who wrote it. This kind of self-criticism often proves to be constructive, and makes you see your posts in a better light. Now the writing part of the blog post itself cannot be imposed on anyone, because not everybody has the knack for writing proficiently, not at the start anyway. So instead, we advise people to focus on the visuals. When you take a glance at a blog post, you generally analyze the structure of the content. One of the most important thing to consider here is visual aids. Adding images can be the key to any post's success, since they add colors and graphics which attract readers. Besides images, there are a few more things that matter within a blog post, such as authority links, further resources, and so on. In other words, working on building trust. Well, as it turns out, this sort of work is right up Zemanta's alley. Zemanta is a free editorial service that will help you build upon your blog post, and add more value to it by helping with images, tags, links, and more. It has just been integrated with Blogger, so Blogger users can easily use this to improve the quality of their blog posts! Images - This is a real time-saver! While you are writing your post, you can see image suggestions appear right on your sidebar. You can choose them at any post, and insert them into your post with a single click! Additionally, you can quickly insert your Instagram and Flickr photos too. Tags - With Zemanta, you can easily tag your posts with Labels. Zemanta will make the process much easier, and bring your site closer to search engines as well. In-text links - This is another perk I was really looking forward to. Zemanta will automatically (or to quote Zemanta, "automagically") link keywords to relevant sources. This will hopefully help readers who aren't clear about a term, and want to find out more about it. Related Articles - Here's another potential gold mine. You can use this tool to link to your old articles, as well as to link to articles from the blogosphere. This way, you will relate to posts from other bloggers, and other bloggers will relate to posts from you. Hence, an effective linking scheme that could benefit both parties. Zemanta is pretty easy to install. And since it's free, there's no hassle about it. Best of all, it is available for most popular browsers, since it is a browser extension. You can get this plugin from its host website. Simply click on the browser icon that you use, and follow the on-screen instructions. For example, to install to Chrome, simply follow this download link. Click on the Add to Chrome button at the top, and this extension will be installed in seconds! Similarly, for FireFox, all you need to do is go to the download site, and click on Continue to download. The extension will then take no time to download and install! From your review it looks like a great help tool ! Thanks for this unique article. Yalnız eksik olan bir konu var.Dil desteği yok. Örnek Turkçe destek vermiyor.Sadece ingilizce üzerine kurulu bir yapısı var. Thanks mohammad, but can we use it with wordpress self hosted too?? Hey that's really a cool tool to save lot of time while blogging.. I am surely going to install this Extension in my chrome browser..I was looking for these type of time saving tools for blogging...You Know Time is Money right.!! Please provide some other tools like this...I was looking for tool to search for Free stock photos for my blog posts...I have tried many like morgue file,Photo pin,"Ultimate Free stock photo search" Extension etc..But i am not so satisfied with their output....Is there any suggestions from you ?? Good post. Zemanta Good Add-ons. i am 18 year boy,i started blogging now.I am thinking to move my blog from blogger to WordPress because of SEO but now i think this plugin will help me to create SEO friendly content easily and fast. Oh! Hope it is a great tool. Am blogger, having both blogspot and wordpress blog. Gonna add this for all my blogs. Thanks for sharing it! After reading this article now using this fantastic widgit really much helpful. 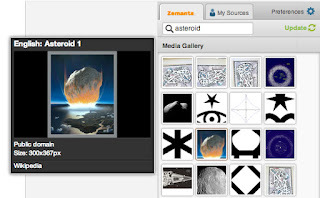 Zemanta supports cross blogging platforms and is a great to but has to be used properly. Good post about a good service. 35 Yorum ve bir cevap yok.İlginç Muhammed. Herhalde zaman bulamadın. Great Post Mohammad. I just recently stumbled upon your blog and I love it! It's very helpful and I'm hoping that it will help me to become a better blogger as I am new to this. I'm currently trying to build up traffic and increase my web presence. I'm about to download Zemanta right now and get started using it! Thanks for the great tip! If you have a moment, feel free to stop by my place at www.itsvividaudacity.blogspot.com. Thanks again! this zemanta is really great tool.. thnx for posting about it. Now Zemanta does not work properly with Blogger, article has disapeared, I can not edit my posts. If I uninstall Zemanta them my posts are ok. I've been using Zemanta for well over a year now, but just recently it seems completely broken. They now have two different portals to get to your settings, which are different settings, the widget no longer shows up when editing posts, and it's changing the related links that I selected without my knowledge. This is on FF 22.0. Beware.